Veda already makes a nearly perfect leather jacket, but thanks to its just-released collaboration with Man Repeller’s Leandra Medine, we also have a go-to for the ideal trench and military jacket. The silhouettes are versatile and classic but feature modern touches like a cherry-red satin sash (removable for the less daring). The run is limited—only 150 pieces—so scroll down to snag your outerwear before it’s gone. Medine teams her military jacket with a white blouse and denim cutoffs, and accessorizes with a pair of socks and clogs. 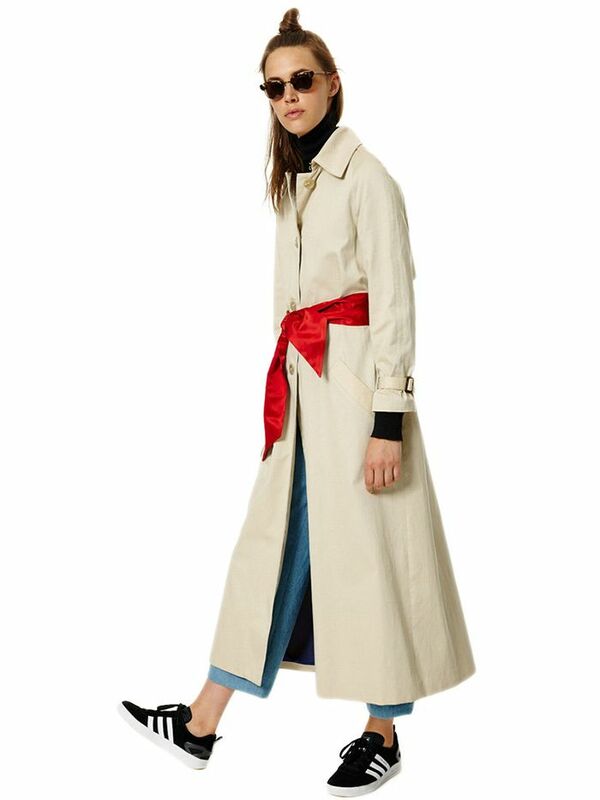 The style star accents the trench's long hemline with a fringed miniskirt. What do you think of the collab? Will you be shopping it? Tell us in the comments!